Over the weekend, UConn released a statement on Twitter explaining that student participation in peaceful protest and any resulting fallout from their school would not impact their admission decision from the university. The tweet completely stated ““UConn would like to assure students who have applied or been admitted to the University that disciplinary action associated with participation in peaceful protests will not affect your admission decision in any way.” UConn is one of a list of schools to release similar statements. This tweet comes in the wake of the rise of the Never Again movement which has planned for two school walkouts in the coming months to protest the lack of gun control laws in the country. Never Again was created by survivors of the high school shooting in Parklands, FL which left 17 people dead and at least 14 people injured. 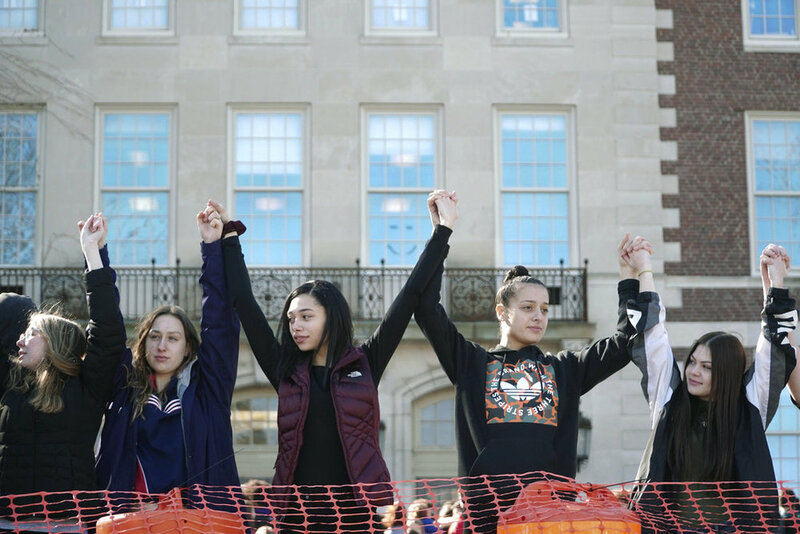 Desire to participate in the walkouts has reached a national scale. When students are applying to UConn they are required to list all forms of discipline received, both from the school and from law enforcement. UConn has made it very clear in follow-up statements that while school related discipline will not impact their decision, issues with the law could still be an issue. The university should be commended for their decision. More and more students are becoming involved in activism and youth leaders are now at the forefront of many noticeable activist groups. Students should be allowed to exercise their first amendment and not worry that it will interfere with their future plans. This is especially true if they are acting in the most law-abiding way possible. UConn should be especially proud to attract these kind of individuals. We refer to the applicants as students and sometimes even as teenagers. The fact of the matter is that these “teenagers” are tomorrow’s leaders. College is a time when young adults grow and change. During that time they go from being followers to being the next generation leaders. For many students, however, that change can start earlier. Those people can help bring about change needed on college campuses and help guide their peers into the future. UConn doesn’t have the best track record on working with student activists and dealing with controversial issues. This decision by the university shows that they are at least starting to open up a little bit. This decision should be fully supported and will undoubtedly make UConn a better place.